Engage your students in analyzing characters (traits & feelings), settings, and events while building critical vocabulary that is key to understanding these literary elements. This standards-based toolkit contains all the essential resources for guiding students in examining details to better understand and describe characters, settings, and events in depth. 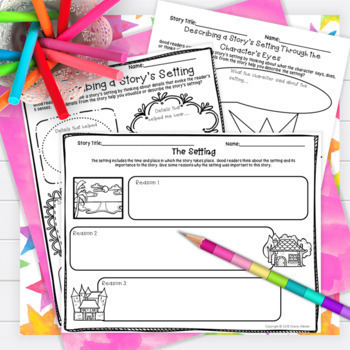 The graphic organizers, interactive notebook template activities, vocabulary templates, and journal activities are specifically designed for teaching RL 4.3, yet are versatile and can be used with any story/passage or in any instructional setting, whether it be with read alouds, guided reading, independent reading, partner reading, during listening center, or even as formative assessments. 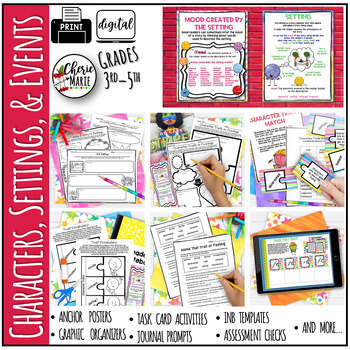 The posters will become students' go-to resource for identifying and using specific language to describe characters’ traits and feelings, as well as the mood and tone of story settings and events. This kit also includes four task card center activities to give students additional practice with this standard. Note: all posters, graphic organizers, journal activities and center tasks materials are labeled with the specific common core standard for your convenience. Center Task Cards are already mismatched for your convenience, so there is very little prep time. Carly De Leeuw wrote: "Great for plot elements and paying close attention to each of these elements. Provides a good foundation for looking at how they each interact with the other." Patricia M. wrote: "I used this mostly for end-of-the-year review, but am looking forward to incorporating this into our study of plot elements. This is truly a great resource!" Ashleigh Lacey wrote: "This is by far the best resource I have found to help my students apply this standard! Thank you!" Ashley S. wrote: "This is a fantastic resource for getting students to look at spicier words and depth of characters, events and settings." 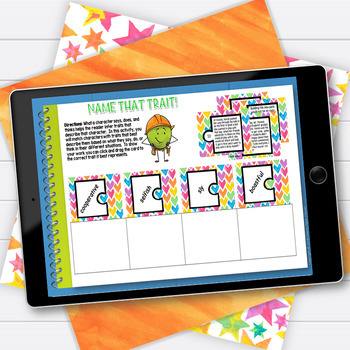 Passport to Teaching Wrote: "This was a great and thorough product. I heard some really good conversations from my students during the matching activity." 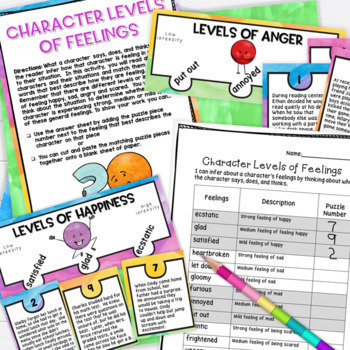 Alixandre S. wrote: "This resource requires students to think critically about feelings and thoughts! Thanks!"